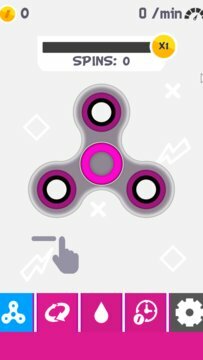 Most relaxing fidget spinner simulator in your pocket! You have 5 swipes to set the best spin you can. Use your hand finger to swipe the spinner left or right, wait for it to stop and sweep the sweet rewards! 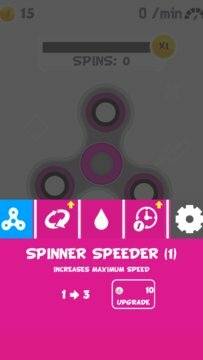 Upgrade your finger spinner, compete with your friends and beat the records! Each spin brings you closer to unlocking a new hand spinner toy. Can you unlock them all?